As you may know, Dewalt is one of the most famous power tool manufacturers alongside Makita. When it comes to their build quality, it’s one of the best on the market. 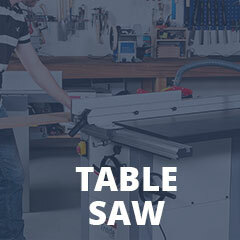 If you’re looking for a high-end cordless miter saw with a lot of features and possibilities, don’t hesitate to check this particular model out. A lot of people simply don’t think their purchases through and end up with either overpaid machines or the ones that don’t fulfill any expectations. Needless to say, both of these scenarios are pretty bad for the consumer. We are here to offer a detailed insight into the overall quality of this unit. In case you were strolling on the Internet trying to find the necessary info regarding cordless miter saws, this is the place where your troubles end. Make sure to read our full reviews, and you’ll get a much better idea of what to expect if you ever opt to buy one of the model’s we’ve covered. When versatility is in question, this model takes the number one place in this particular category. The first thing you’ll notice is its hybrid power source. In simpler words, it can work both on batteries and electricity. Therefore, even if you run out of battery, all you have to do is plug in the adapter and continue working. The runtime is quite impressive. It can make up to 290 crosscuts with only one charge. The best thing about this is that you get an additional battery included to help decrease the downtime. In other words, the DHS790AT2 won’t let you down, even when the batteries die. The brushless motor is a great advantage in comparison to brushed ones because it offers longer runtimes. Dewalt’s engineers always do a great job in the design department. Needless to say, they didn’t disappoint this time either. Even though many people complained about too many plastic parts, it’s still extremely hard plastic that won’t shatter under any load. The amount of vibrations is tolerable, although, it can be a burden when the machine is operating at full power due to the absence of cushions on the hand grip. However, it’s a minor nuisance, and you’ll get used to it quite quickly. The measuring components are great. The miter scale is comprehensive and well-designed. The numbers won’t fade out after a couple of months, as with many other models on the market. In fact, one of the primary general problems with these units is the printed components that fade after a while. However, you don’t have to worry about that if you opt for this model. The motor is quite powerful, and it delivers 3800 RPM while idling. As you can assume, it has more than enough power to cut through anything as long as you have the proper blade mounted. In fact, you can even cut aluminum with a proper blade. The fact that it’s brushless further adds to the impressiveness of it. Safety features are at a high level. The blade guard is partially transparent, but you can still see through. The unit also comes with an integrated LED light to help you in dim environments. Everything is properly designed as far as the safety goes, but you should still read the manual before doing anything just to make sure you’ve set the saw up in a proper manner. Even though we are used to seeing subpar dust-collecting capabilities in cordless saws, this one is an exception. It features an extraction port with an included dust bag. However, the main problem with these things is the capacity. Luckily, the capacity of this dust bag is tolerable and not a nuisance most of the time. Then again, you’ll still have to empty it out quite frequently. The most likable thing about this unit is its versatility. As we said, the hybrid power source switching is a blessing for anyone who found themselves in a predicament known as empty batteries. Those days are over thanks to the 120V adapter. Also, you’ll get a set of two batteries meaning you can always charge one while using the other. In other words, you’ll never run out of power. The build quality is exceptional. The materials used are extremely reliable and trustworthy. Furthermore, the unit works great when combined with the auxiliary mounting device, especially the Dewalt’s one. Even though it’s not a mandatory accessory, it’s highly recommended, especially for the professionals. Truth be told, there aren’t many downsides at all. One minor shortcoming could be the amount of plastic parts, but it’s more a matter of personal preferences. You can rest assured that the absence of metal parts won’t hurt the integrity of this unit. Apart from that, some people complained about getting incomplete packages, but it’s usually the shipping company’s fault instead of the manufacturers. In fact, Dewalt has one of the best quality control departments on the market. People love this unit. If you take a moment and check out some of the reviews online, you’ll probably have a hard time finding any negative ones. As far as we are concerned, it’s definitely a worthy investment even though it’s not a cheap tool per se. Bear in mind; it’s always better to invest a bit more in order to get a high-end tool because it will pay itself off quickly. The cheap ones may have similar features, but the smoothness in operation is non-existent. If you’re looking for an affordable high-end cordless miter saw, this might be the one. It has everything you’ll ever need for angled cuts, crown molding, laminate cutting, and much more. As we already mentioned, versatility is one of its strongest points. Runtime is great on batteries, and if they die out, you can always plug the 120V adapter and keep working. Therefore, you don’t have to worry about any downtime during stressful projects. The price may be on the premium side, but it’s well-worth the investment, especially if you’re a devoted professional with a ton of projects planned ahead.